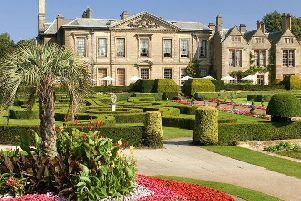 The stunning Kelmarsh Hall is the setting for it’s second Great British Food Festival this summer. The festival is back on Saturday and Sunday July 8 and 9 with bags of foodie fun. There will be live music from top local performers will be sounded around the festival to get the public in the mood for a great family day out. The Men Vs Food challenges will see guests compete against each other to become the next Meat, Heat or Treat Champions. The public can also get involved with the Cake Off, all entries will be tried and tasted and only the best of the best will be crowned winner. It’s known to be a fierce competition and each Cake Off entry is rewarded for their hard work with a free adult ticket per entry. Guests can enter this competition prior to the event at www.greatbritishfoodfestival.com/cake-off/. The popular Forager Walk will be taking guests around the festival throughout the day to teach them lots of interesting facts about wildlife. For tickets and more info see www.greatbritishfoodfestival.com.